This Prestige votive is created to fragrance powder rooms, small bedrooms, and offices. Each votive is cleverly boxed in Tyler's signature packaging. 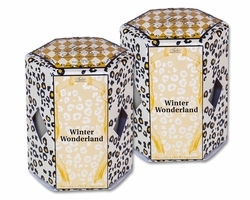 These candles make great gifts, are the perfect size for travel or to set around your bath for a spa experience. It has a 15 to 20 hour burn time (based on a 1-2 hour burn). Because these candles are saturated with fragrance, they can only be burned in a votive glass or a similar safe container. 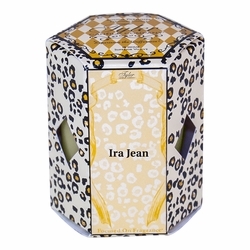 A timeless fragrance with a heady, sun-kissed feel wrapped in the exotic lushness of faraway lands. Tart pomegranates create the mysterious heart of the amazing fragrance. An elixir for the senses! 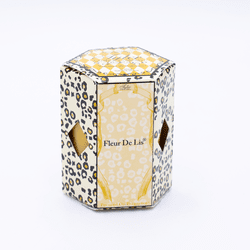 Fresh floral with notes of gardenia and tuberose. Extremely unique! 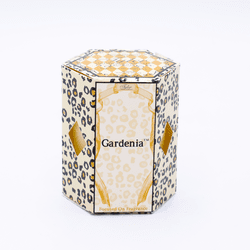 Pure white gardenia captures the innocence of springtime! You'll reminisce about every wedding you've ever attended. A rich and exotic blend of herbs and spices...Quick to capture your imagination and transcend you to the mysterious Far East. A tantalizing burst of fresh sweet pineapple. Truly mouthwatering! 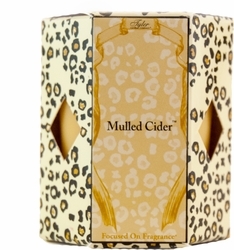 Rich apples blended with a dash of citrus, cinnamon & clove. 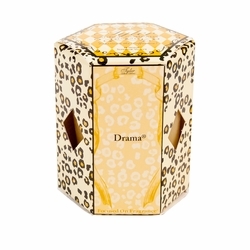 New Drama - now with a fresh new fragrance! - An intoxicating blend of Madagascar vanilla layered with African pear, wild jasmine, and white sandalwood. New Prestige - now with a fresh new fragrance! - Rich bergamot and incense begin this exquisite fragrance. Valencia oranges, clove, and ground cinnamon combine with Texas Cedarwood to complete the experience. New Sugarbaby - now with a fresh new fragrance! - A sophisticated fragrance that captures the essence of spun sugar and melds with rich warm caramel. White musk and French vanilla beans layer through to complete the fragrance. Very warm and inviting! Tyler's #1 fragrance! 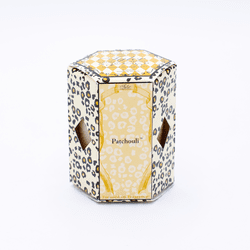 Floral, woody blend combined with patchouli and vanilla with a heavy musk undertone! Very sophisticated and truly addictive! A tribute to eternal femininity and southern refinement! Beautiful floral bouquet of Jasmine and Rose, combined with Musk and Sandalwood. 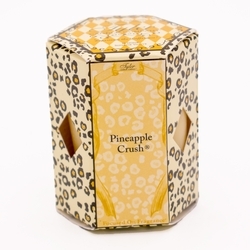 This truly captivating fragrance is then topped with a blend of fruity notes of Pineapple, Raspberry & Peach. This is an invitingly clean, fresh fusion of pure mandarin oranges with a shocking touch of lime as a top note. A slight undertone of rich vanilla bean oil gives this a unique twist. He exudes confidence and demands attention� Bitter Orange layers over Patchouli, thick Bourbon Vanilla, Vetiver & Musk. Always in Tyler's top three year round! Rich sugar cookies baking in the oven with zero fat grams! Prance into a forest full of Balsam Fir Trees. Due to package transitioning, may receive black box or red box.